As said by Wikipedia, a trailer is an unpowered vehicle that towed by a powered vehicle. Nowadays you can find a variety of trailers in the market while a box trailer is used commonly by homeowners or business owners to transport goods and materials. Many households take benefits of a box trailer for any hauling need during landscaping, gardening, moving, camping trip, waste removal and home renovation projects. Are you planning to buy a trailer for your household use? To make the right purchase, there are some main keys to consider before you start searching trailer for sale. Gathering required information ahead will ensure you to find the right trailer that meets your needs -at the best price. It would be your worthy investment. Here we go. The towing capacity of your car. First of all, you must know the ability of your vehicle to pull a trailer. It’s because of carrying loads that exceeds the towing capacity will affect negatively to the car’s stability, durability and overall safety. Find the detailed information on the vehicle’s handbook since a vehicle’s towing capacity is determined by its manufacturer. For examples, smaller cars are capable of towing at around 1200 kg and larger cars around 2500 kg. The purpose that you need of using the trailer. You want to have a trailer that ready whenever you need to load whatever items onto it. The trailer will be used in your household to handle different hauling needs and most likely for carrying lightweight loads in shorter distance. Thus an open box trailer with the hitch weight class up to 910 kg/2000 pounds (Class I) could be the right choice. 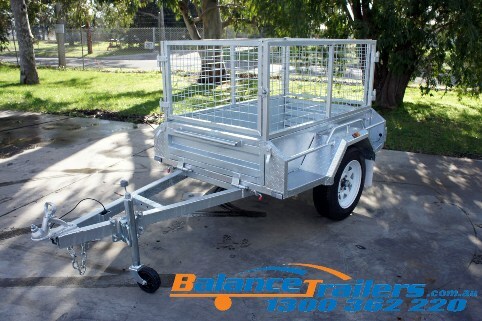 If you live in Melbourne or Sydney, you can rely on the high quality galvanized trailers and best services that provided by Balance Trailers. If you need using your trailer to carry heavier loads than usual, always ensure that the weight not go above the trailer’s payload capacity. Overloading the trailer might cause great strain on your vehicle, ruin the trailer’s chassis and axles along with bring dangers to others on the road. The total cost of having a trailer. Price all expenses that you must spend to own the trailer. Make sure that the whole cost still on your budget. For household use, you can opt for the economical type of trailer. The place for storing the trailer. You can bring home a trailer if there is already a space where you will store it. If your home is too small to keep the trailer and then you have to rent a storage unit; think about the added money for the renting fee. Now you are ready to make the informed buying decision and buy your new trailer.